Award nominations are always gratifying to receive, especially if the nominations are collated from a poll of fellow comic book professionals, as indeed the Harvey Awards are. What made it even sweeter was that I discovered this fact on my birthday, and after suffering two and a half days with a migraine. My book, Alan Moore: Storyteller has been nominated in the category for for Best Biographical, Historical, or Journalistic Presentation along with four other fine publications, and I am correspondingly humbled by this great honour. 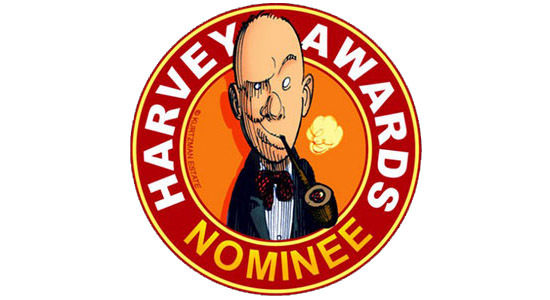 I’ve received a number of nominations for Strangehaven and other works over the years, but this is the first time I've had anything recognised by the Harvey Awards (named after the great Harvey Kurtzman), which is very satisfying. Voting is open for all until Friday 17 August 2012, but only those working in a creative aspect of the comics industry are eligible to cast their vote. You can read the entire list of nominations here. Courtesy of my kind publishers Ilex Press I some while ago received the gorgeous French language edition of the book, with a rather splendid cover by Frank Quitely. I also understand that there are several other translated editions in the works, all of which is very pleasing. In addition, I was alerted to another favourable review of the book by my good friend smoky man. The very kind Jason Sacks wrote for the Comics Bulletin website, “This book is a really overwhelming experience for any Moore fan. It's like Christmas in a book.” Which is sort of what I was going for. You can read the review in full here. 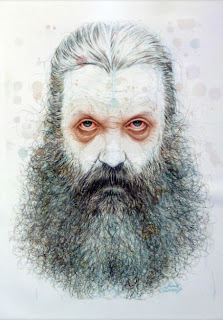 This follows very positive web reviews of the book by (among others) Forbidden Planet International, Boing Boing, GlassMagazine, LerBD, The Generalist, ActuaBD, the Indian Express, Exmouth Journal, Deconstructing Comics and Bleeding Cool, as well as print publication reviews in The Fortean Times, Time Out, The Independent and the Hertfordshire Times.